A woman has powder bronzer applied to her face. Bronzer should be used in moderation. Bronzer is a great way to give yourself a tanned, sun kissed look without ever having to go out in the sun. Similar to foundation for the face, bronzer is available in both powder and gel forms for ease of application. The most important thing to keep in mind when attempting to apply bronzer is to use it in moderation, and to use a shade that is only a few shades darker than your natural skin tone. As with any makeup, it should be your goal to achieve a natural, enhanced look rather than a made-up look. 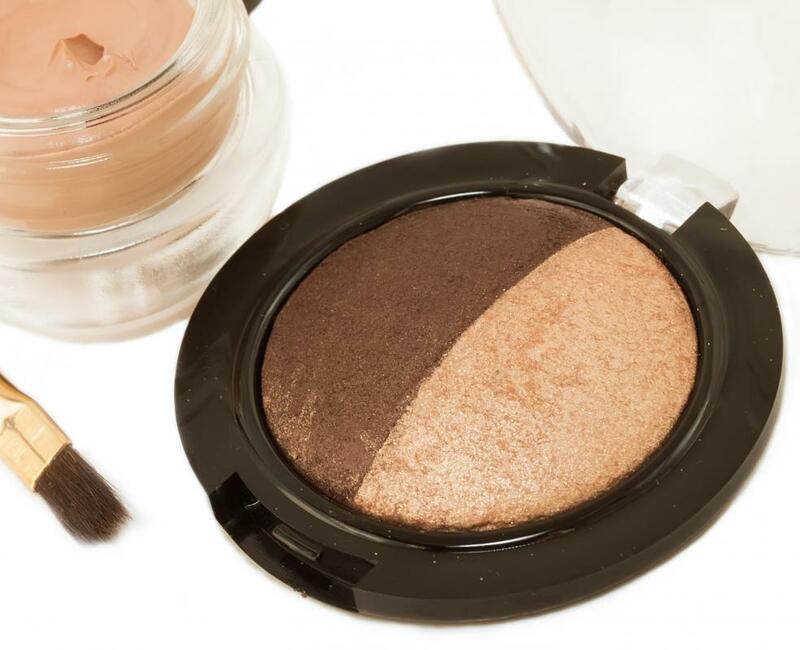 When choosing bronzer, it should be no more than two shades darker than your skin tone. Darker shades can make your face look dirty or they can just look unnatural, whereas a shade that is too light will simply resemble foundation and not show up. Try bronzer on the inside of your wrist or even right on your cheek in the store to be sure that the shade you choose will look like a natural tan. In addition, keep in mind that you may choose to apply bronzer all year, but you will likely need a slightly lighter shade for use in the winter and a darker shade for use in the summer. Before you apply bronzer, you may choose to apply moisturizer and a small bit of foundation, then let those dry. Bronzer should be applied to dry skin so that it does not streak. Then, brush a light amount of bronzer on the cheeks, forehead, nose, and chin; these are the areas where the sun would naturally hit, so it looks most natural to apply bronzer there. Add more bronzer as needed until you get the desired shade, then blend carefully to be sure they are no streaks; it is a good idea to check your makeup in the sunlight, which will highlight any flaws. It is best to apply bronzer with a makeup brush, not the fingers, except in the case of gel bronzer. In addition, some cream blush added to the apples of the cheeks can help to brighten the face and complete the look with bronzer; just bronzer by itself can look unfinished. 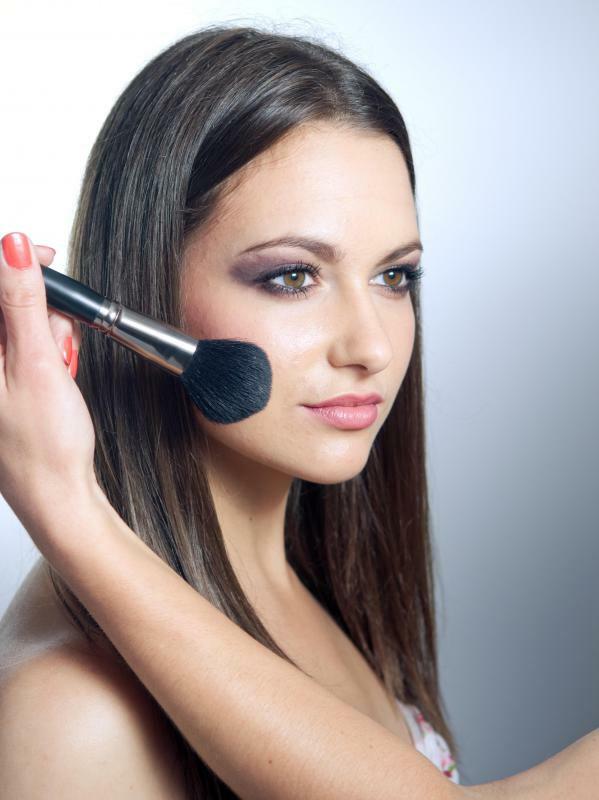 If you apply too much bronzer, remove some with a cotton ball, or attempt to blend it into the skin better. Be sure to remove bronzer at the end of the day with makeup remover to prevent it from clogging the pores, which could lead to blemishes. How do I Choose the Best Bronzer Products?